The life of most major league baseball players is lived on a year-to-year basis. Each season brings uncertainty, much of which is outside their control. Injuries, trades and even management upheaval can alter their lives at any moment. The pay is excellent, but the job security is minimal. Twins reliever Jared Burton is very familiar with this concept. From 2007-09, Burton was a mainstay in the Reds bullpen, averaging 51 appearances per season. Then a series of ailments derailed his promising career. He appeared in a total of 10 games in 2010-11. 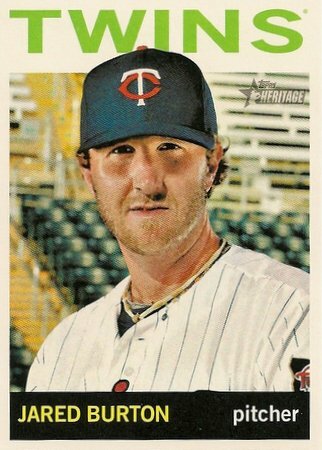 The Twins scooped up the righthander off waivers in November 2011, gave him an invite to spring training and he pitched his way onto to the opening day roster in 2012. Confident in his ability and comfortable with his health, Burton was dominant; posting a 2.18 ERA with 55 strikeouts and 16 walks in 62 innings. The Twins rewarded that effort with a 2-year, $5.5 million contract. Grateful, but not complacent, Burton has picked up where he left off in 2013. The 31-year-old talked to me last week about his recent good fortune and the mindset he uses to deal with the ups-and-downs of the business. DZ: Last year you came in here trying to make the team, this year your status was pretty solid. What is that difference like for you? BURTON: I wouldn’t say it’s different, all along I was confident either way. I knew going into camp last year, I had to make the team. I just felt that if, coming off of surgery, I was able to stay healthy, I had nothing to worry about. I’ve always had confidence in the way I prepared - the way I come ready to go everyday. (Being) able to get the 2-year deal was very rewarding. All the hard work I put in to get back to have the year I did last year was great, but I think the mindset is still the same. I knew that if I made the team last year and showed them what I can do when I was healthy, I would be in the 7th or 8th inning and it’s kind of the same thing this year. DZ: You mentioned health, how long did it take you last year to have confidence that you were healthy and were going to stay that way? BURTON: I think that happened in spring training. I was a little - I wouldn’t say nervous - just the unknown going into spring. (Not knowing) if the work I had put in the offseason before was going to pay off. Once I got a couple of spring training games under my belt and felt the way I felt, I knew that I just needed to stay right there. It just kept getting better and better and my confidence came with it. DZ: You and (Glen) Perkins have formed a really good lefty/righty combo. What is your relationship with him like and how has it evolved? BURTON: It’s great. From the get-go the camaraderie in the bullpen has been a strong point. We are like brothers down there. We root for each other, as does the whole team. That was one of the coolest things about last year, coming to a new organization - the turnover period was nothing at all. I just felt welcome as soon as I got over here all of the guys rooted for each other. It was an easy transition. That says a lot about the organization, a lot about the coaching staff and just the togetherness of Twins baseball. DZ: I talked to Ryan Pressly, he said you had kind of taken him under your wing this year. What’s it like having more of a leadership role this year? BURTON: I try to do as much as I can and lead by example. I am kind of a quiet, mellow person, but I feel like I come to the field everyday with a plan to get my work in and if these younger guys are seeing, that’s great. I was a Rule 5 guy just like him, so I kind of gravitated toward him early in spring. I made the team as a Rule 5 guy in ‘07 with Cincinnati, so I knew exactly what he was going through. (I) told to him to “give it all he’s got, it’s a big opportunity.” This game is all about seizing opportunities and he was able to do that and I am proud of him. DZ: You’ve seen how far you’ve come in a year, but also having all of the experiences you’ve had in your career, you know it can go the other way also in a year. Does that keep you motivated to keep working hard? BURTON: It does. I kind of had a newfound appreciation for the game last year. It was almost like everyday before I went outside for a game, I kind of took a moment to appreciate getting to watch a big league game in a bullpen instead of watching it from the clubhouse on the DL, which I did for a lot of the last two years in Cincinnati. I think that helped me stay grounded and it helped kind of motivate me day in, day out. Even if you do have a bad outing, if you stick to your guns, stick with your stuff and stay confident throughout the course of the season, things will work out. DZ: Everybody has been talking about the (cold) weather. Does that change your preparation at all? BURTON: It’s tough. It’s tough for anybody. I talked to my agent earlier about how much of a mental grind it is just to get through an inning. You are uncomfortable, but you don’t want to show that, just like a hitter…..You try to stay even keel out there, but the weather’s been tough, but it’s been tough for both sides, I am sure everybody has said that. It’s mentally grueling, that’s for sure. Another week of this crap, hopefully it will warm up and we’ll get to spring. This entry was posted on Tuesday, April 23rd, 2013 at 4:33 pm	and is filed under MLB, Twins. You can follow any responses to this entry through the RSS 2.0 feed. You can leave a response, or trackback from your own site.